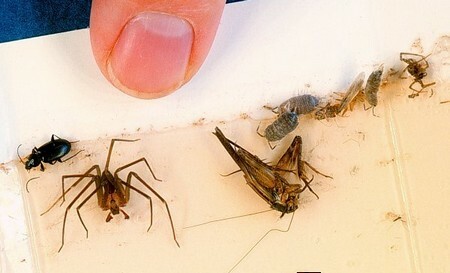 There are times in the summer and hotter days, when insects seem to be at their highest peak of annoying everyone. It almost feels like the population of flying bugs are growing exponentially by the second! Chances are, you’ve ran into a gnat or two in your lifetime. If you ever left fruit out on the counter too long and insects were flying about? Those were gnats. If you leave flowers in your house and notice insects around, those are gnats as well. There little buggers can be everyone. Here is how you can get rid of those gnats. Build and trap and find your peace of mind, again. Read on for more information. Unscrew the top off the mason jar. Now, rinse the jar well with running water and soap. You can use any glass jar as long as the lid fits properly and securely. This trap works better if the opening of your jar is on the wide side. Put 5 tablespoons of apple cider vinegar into you glass jar. If you have to substitute the apple cider vinegar with regular white vinegar, you may. That will still work fine. Tear off two sheets of Seran Wrap. Make the two sheets the same size. You also want to ensure that the two pieces of plastic cling wrap are wide enough to easily cover the opening of the glass jar. There should be about an inch of extra plastic around the perimeter. Put the two pieces of clear plastic over the opening of the glass jar. Apply a rubberband over the plastic to hold it in place. This is a very important step. The cling wrap has to be snug and securely in place. These insects are very tiny. You don’t want them to be able to get out of you trap. Now, use the kitchen fork to puncture the plastic wrap. Do this very softly. Be careful not to puncture the plastic in too many places. You also do not want holes at the end of the top of the jar. The gnats may be able to get out through these places. Put your glass jar insect trap right where they gnats are conglomerating. If you have several places they are occupying, them make as many traps as you need to and put them there. Soon, the gnats will enter the jar because they are attracted to the vinegar. You will soon notice you have a jar full of gnats!